There have been many people through history that have experienced despair, darkness, and depression. 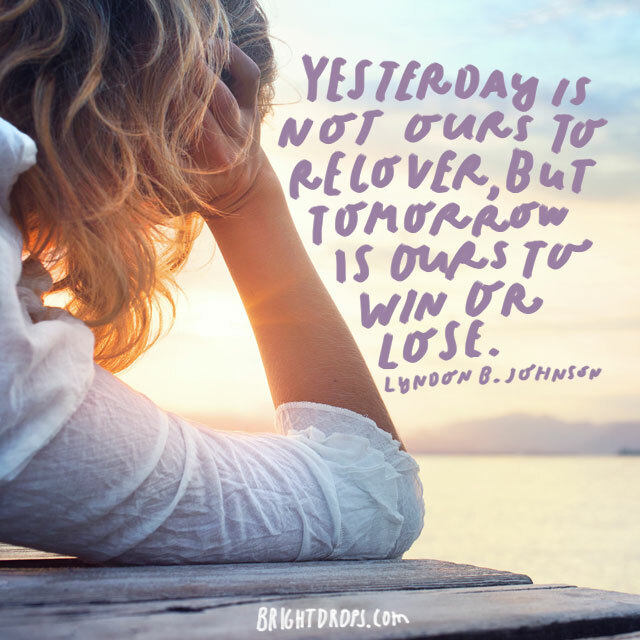 Wisdom often comes after living through challenging circumstances and these quotes prove that you will be alright. 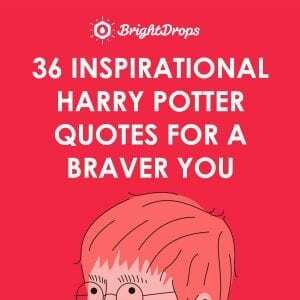 Let these quotes life you up; read through them and see if you just don’t feel better. It does no good to lament a day that you can never get a do-over for. So instead, turn your face to the new day ahead and plan a strategy of how you are going to be a better version of yourself than you were yesterday. 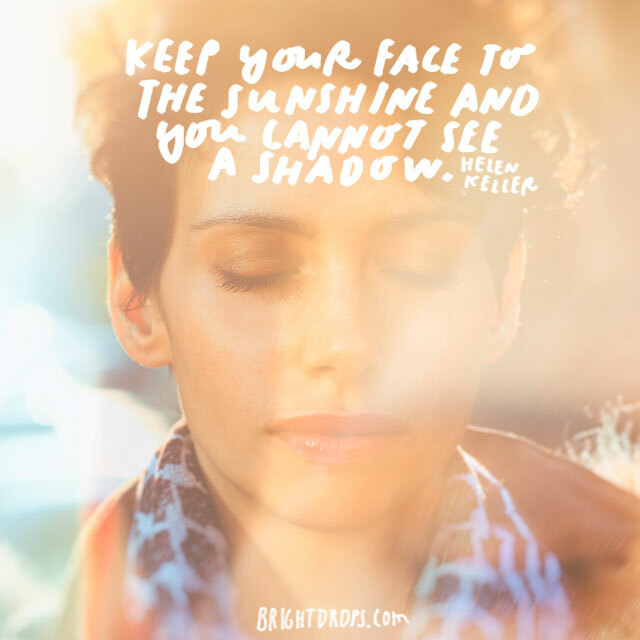 Sunshine and shadows exist together; we can’t have one without the other. However, if you are feeling like you are consumed by shadows then hold fast to hope, optimism, and love. These things shine into the darkness like the sun. We often treat things with their opposites, right? If you’re cold, you seek out warmth; if you’re sleepy you drink coffee. 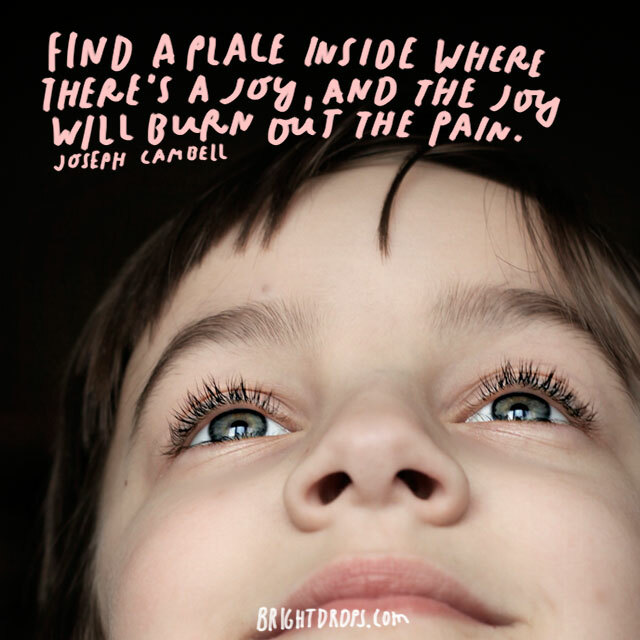 When you are in pain, the best treatment of it is to find the joy, to find the happiness! Try doing something fun or enjoyable the next time you are hurting. 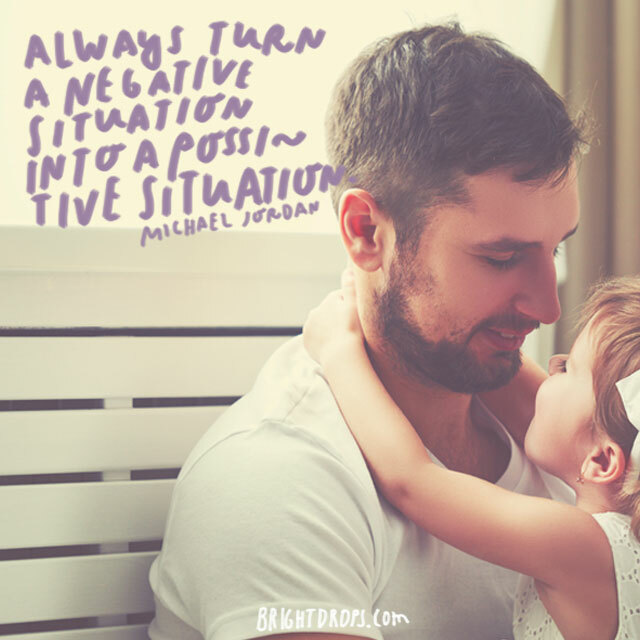 Negative feelings leave us with nothing but negativity. 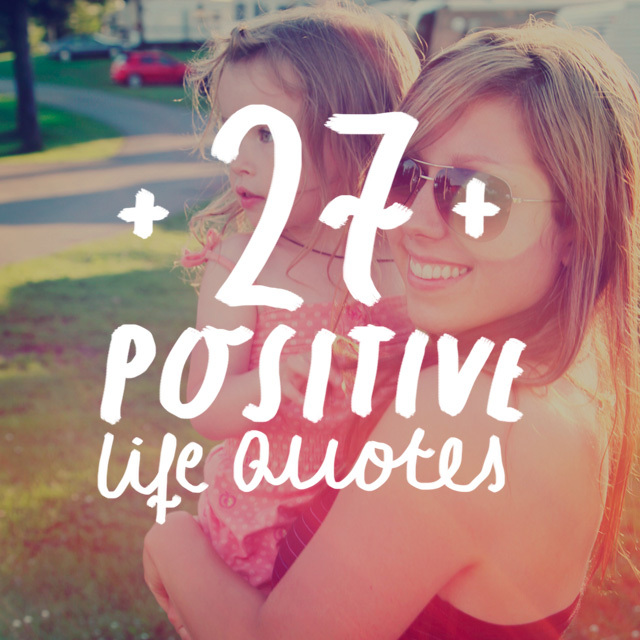 Negativity brings about no friends, no family, sometimes no job, no health, and more. So don’t you think that having something, anything, positive in your life or your attitude is a better investment of your time? When things happen “to” you, you feel helpless and victimized. However, if you look at things as happening “for” you, then you take some of your power back. This allows you to look at the lessons and blessings (a.k.a. silver linings) within anything you might experience. If you choose optimism, positivity, and worthiness then you will attract more of that into your life. And the opposite stands true too. If you choose unworthiness or negativity, you will attract that as well. 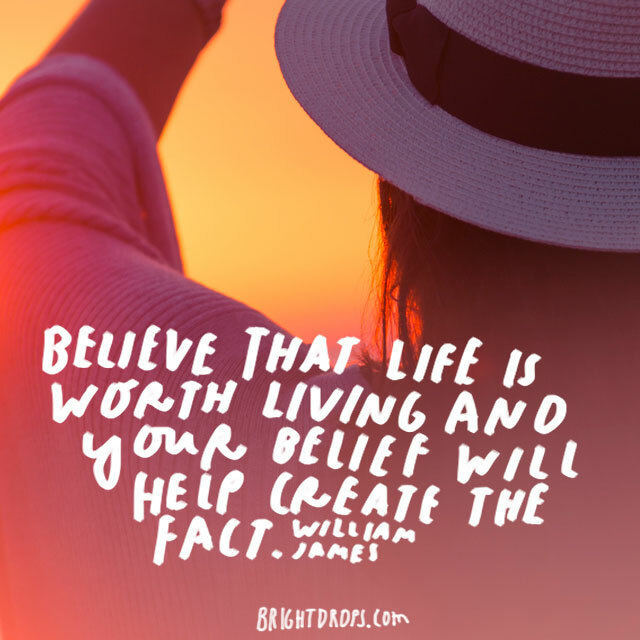 Be steadfast in your belief that life is worth living and create a happier one for yourself. Think about a time when you had a project that excited you. 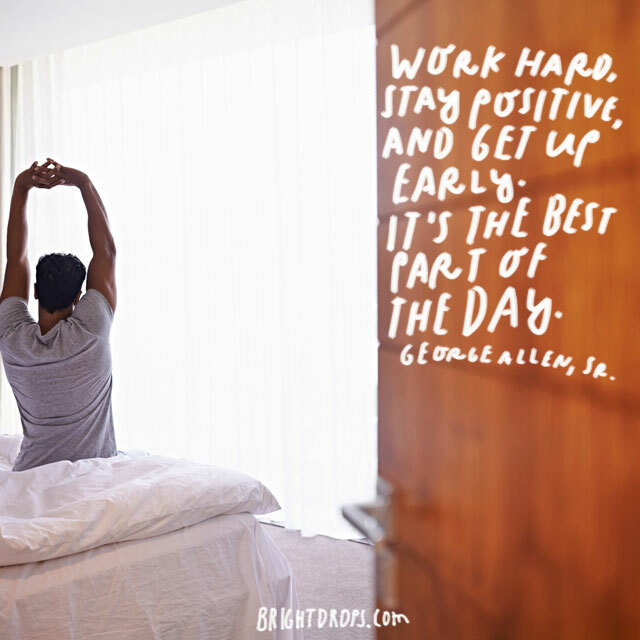 Do you remember the motivation that made it easy to get out of the bed in the morning so you could work on it? Do you recall the passion and happiness you felt? 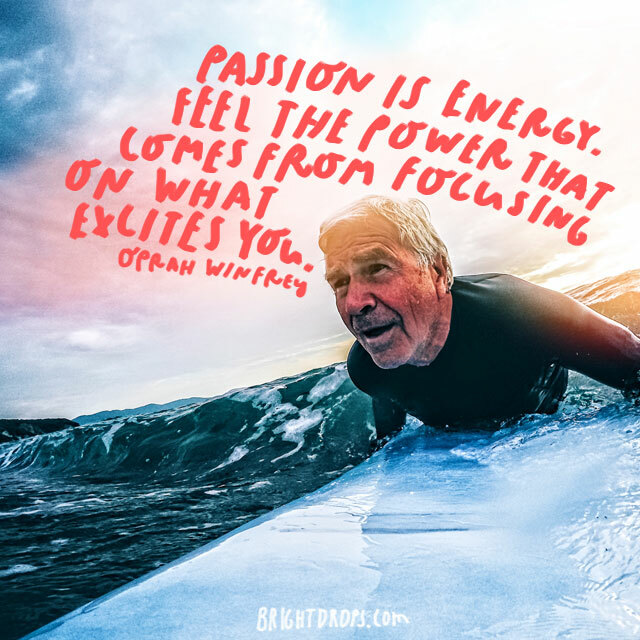 To be successful, find more of that passion. 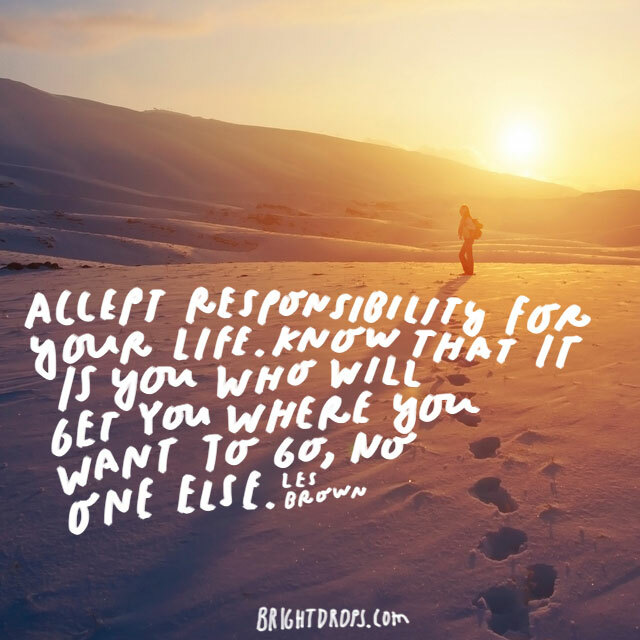 Accepting responsibility means acknowledging the good and bad decisions you have made. No one else is going to hand you what you want or do your work for you. 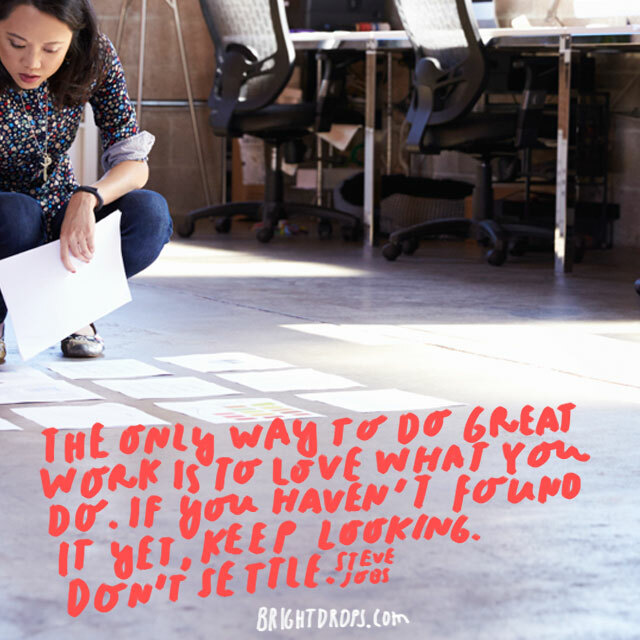 Stop waiting for that perfect job to come along or that perfect relationship; go looking for it and get it for yourself. 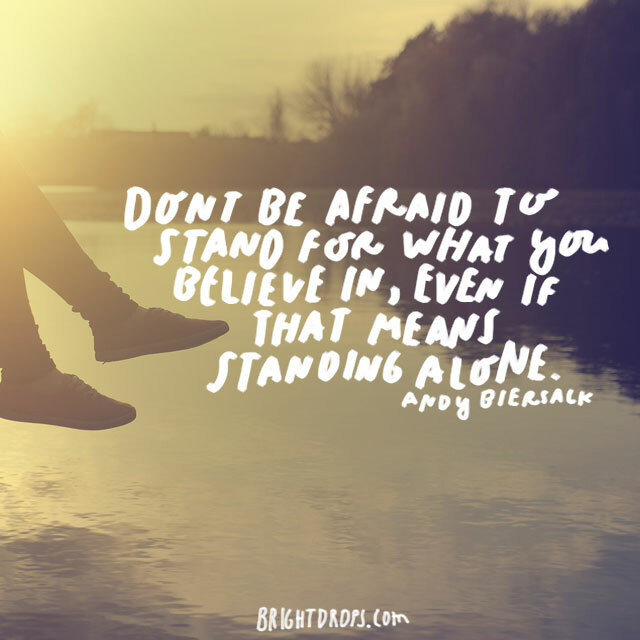 Even if the masses don’t support your beliefs or values, make sure to stand up for your beliefs for you. This world needs those who are strong enough to go against common mindset because those are the kinds of people who change the world. So many people are trapped in jobs they don’t really like. Paying the bills and feeding a family may seem worth selling your soul to a job, but your happiness is going to die in the process. Find a way to make money doing something you truly enjoy doing and all areas of your life will benefit. Smiling seems to not only brighten up your face, but the entire energy around you. A smile lets others know you are approachable and friendly, so make it part of your daily wardrobe. 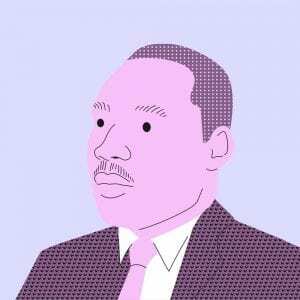 Don’t feel like smiling? Do it anyway, it just might make you feel a tiny bit better. As you build your self-image and confidence at the beginning of your journey to success, you will be more prepared to handle the attention and spotlight that will come once you achieve it. 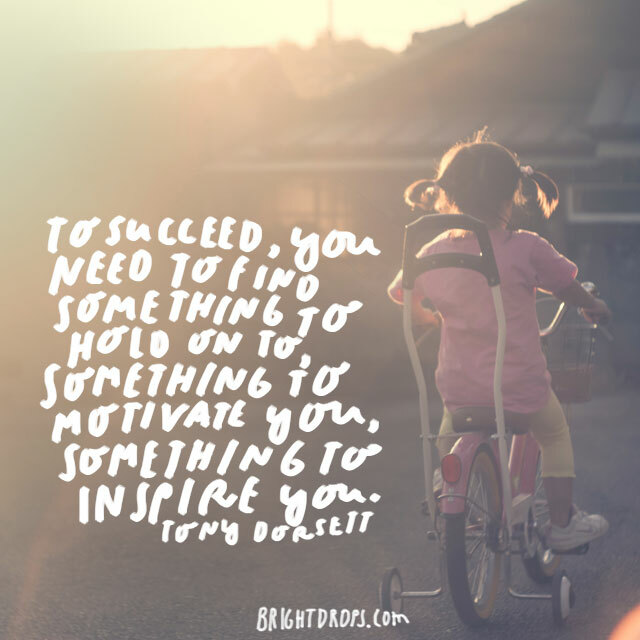 Knowing that you are worth success makes handling it much easier. 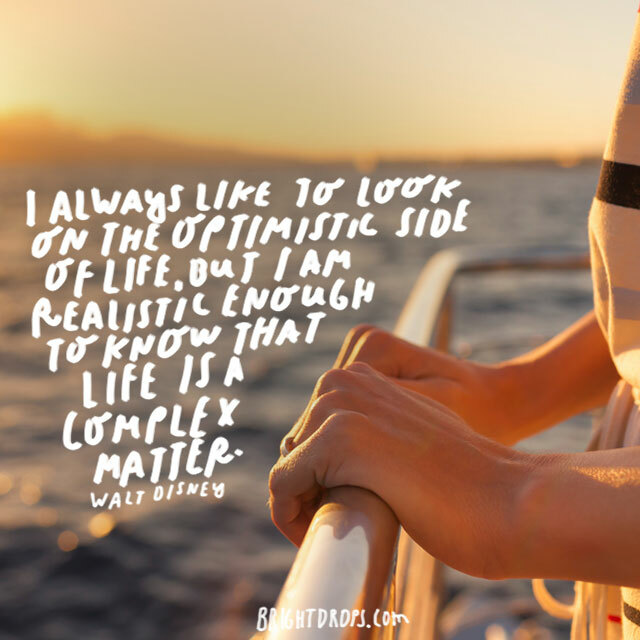 Living a life of optimism and positivity does not mean that one avoids pain or problems. Life is messy and sometimes you sink into grief, frustration, or anger. This is normal. Being optimistic means not letting the dark times crush you. Optimism is a tool to deal with the dark sides of life. Every new day is a chance at a fresh start! 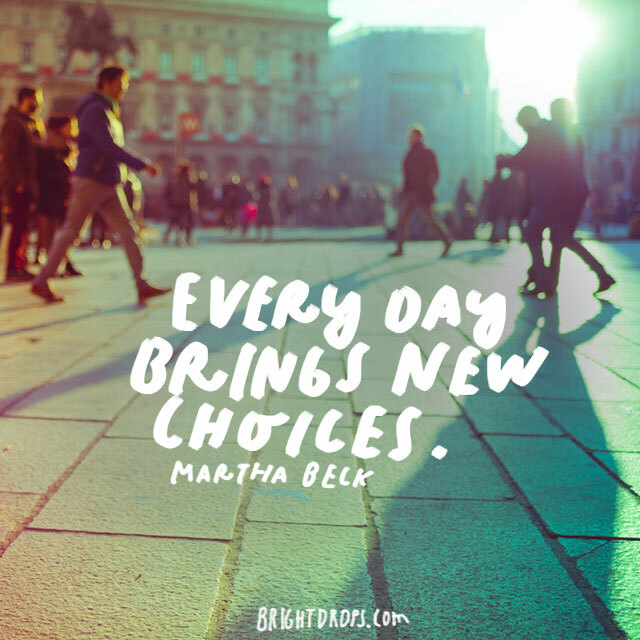 You have a choice each day to do something different than you did the day before. Have tea instead of coffee, create art instead of clean the house, spend time with family instead of being on your phone, or take a nap. The choice is yours; choose wisely. If you listen closely to groups of people talk, you may hear many of them all complaining together. Misery does love company, right? 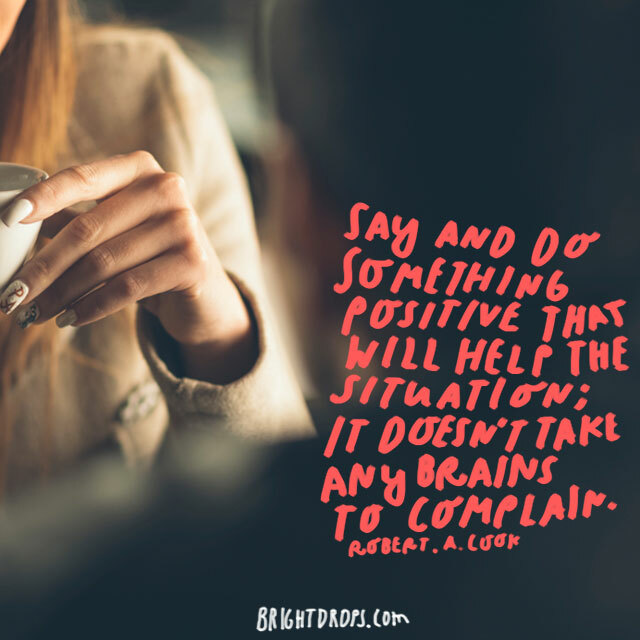 Complaining is small thinking, but being positive is grand. 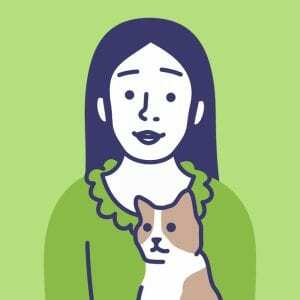 Offer some kind of positive outlook on the topic, or offer a solution and see how that makes you feel. This would be akin to taking manure and fertilizing your crops. Manure is just manure by itself, but when used constructively it is beneficial to life! 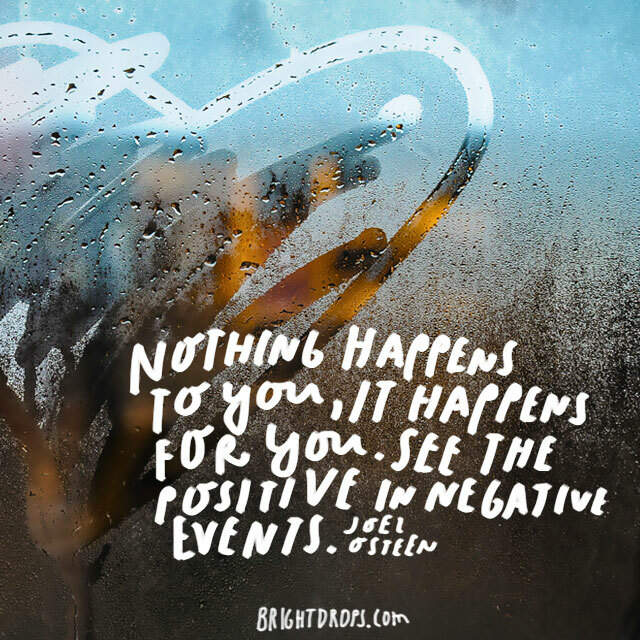 Negative experiences will always come your way, but it is up to you to find any positivity within them to not only help bring peace of mind, but to help you grow. Living is not living unless we experience breathtaking moments of love, peace, clarity and joy. 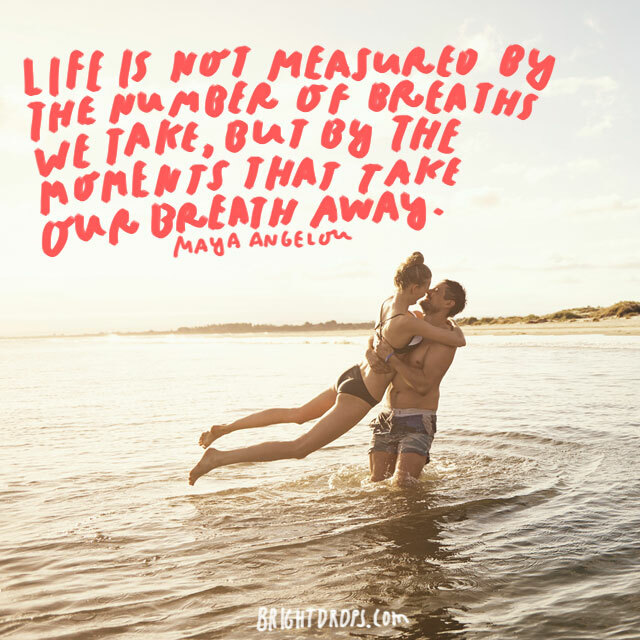 Find ways every day to experience something that takes your breath away. Gaze into a baby’s eyes, listen to children laugh, watch a sunrise or sunset, or do something new and exciting. 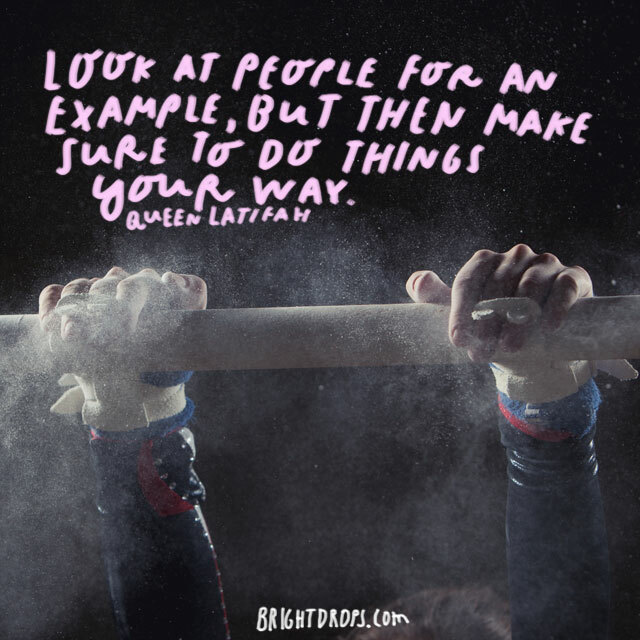 Have you ever watched someone do something that excites them? They light up from the inside out. Indulge yourself with things that make you passionate. If you don’t have anything, then explore what that might be. Hobbies are a great way to dip your toe into many new things that will lead you to your passion. If you need saving don’t expect someone else to do it for you, and don’t try to do it for anyone else. If you are a hot mess then you are the most qualified to save yourself. Teach yourself how to heal and hire professionals to assist you, but know that you have the power. 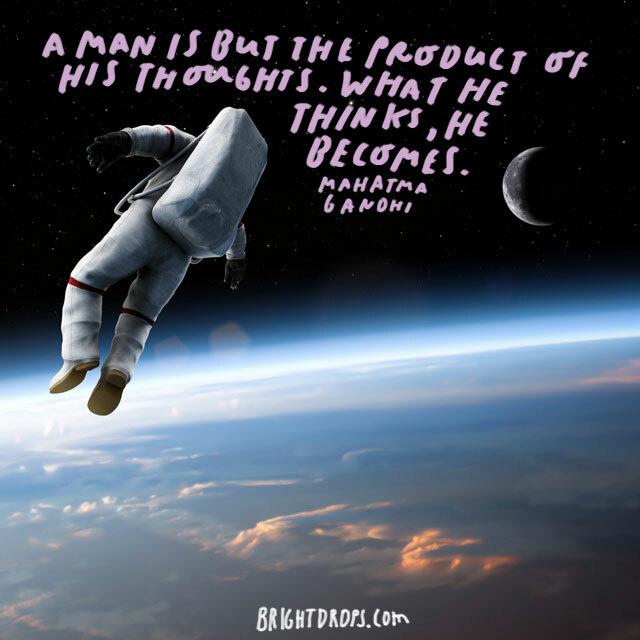 Sages and wise men have known it for thousands upon thousands of years – our thoughts create our existence. Focusing on what we think and feel sends out wavelengths of energy to our environment that then bring back to us the same wavelength of energy. Think of positive things, feel positive things, and watch your life transform. 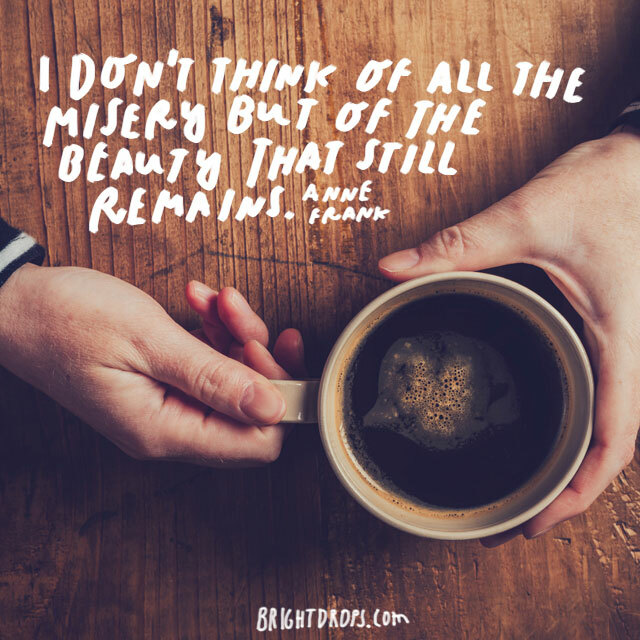 If anyone could focus on misery, it would be Anne. So if she can focus on the bright side of life even during a holocaust, so can you. There is beauty during the darkness if you but open your eyes to see it. Though there be much misery in the world, there is still much love and kindness to be found. 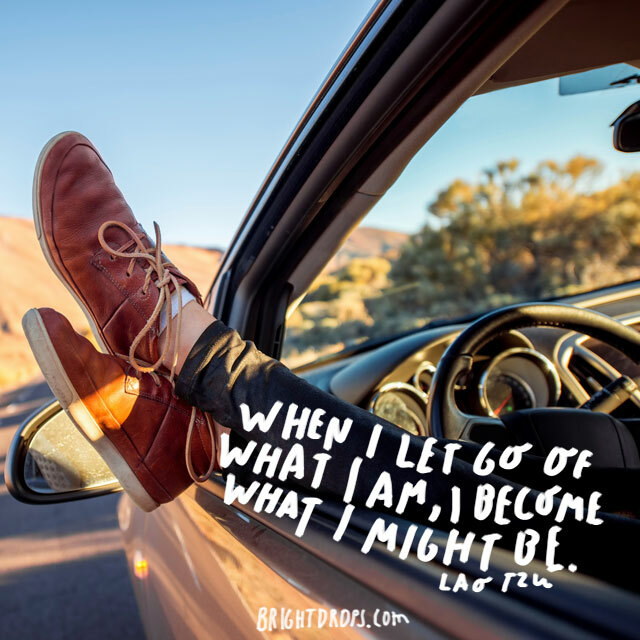 No matter if you are a wonderful person or a jerk, if you let go of what you are, you can become something different. You have a chance to evolve and grow into different versions of yourself every day. Beware though; this can go in either positive or negative directions. Make sure to become what you want to become. Those that judge others or live dishonest lives will find ways to avoid the truth, and to avoid the light. 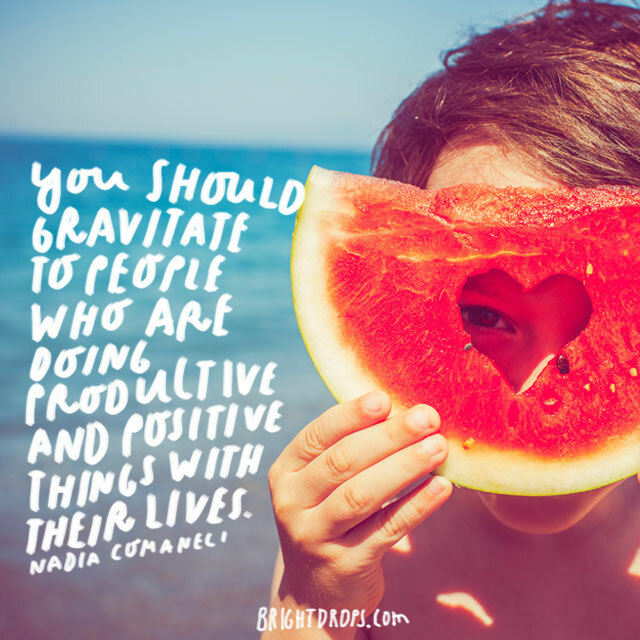 Those that practice positivity have no qualms stating their case out loud, communicating, and bringing things to light. Which person would you rather be, and be around? Such simple advice but so profound! 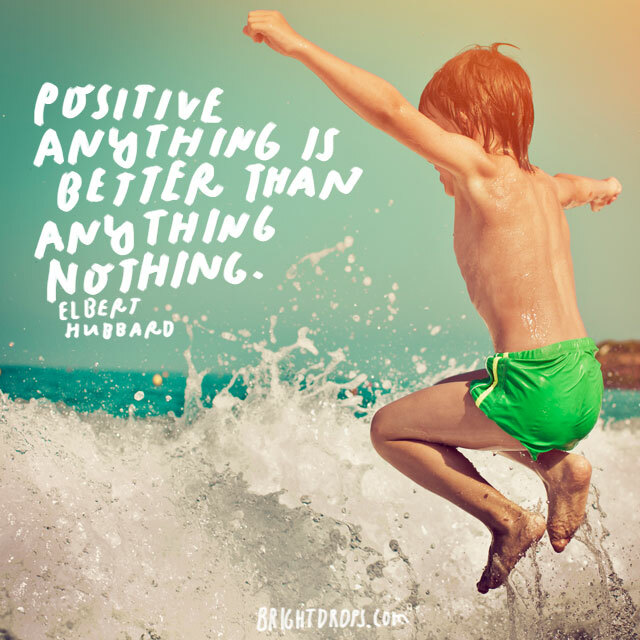 Staying positive brings a lighter and happier energy to you and your life. Working hard will create the life you want for yourself, and getting up early gives you time to prepare for the day, as well as having enough time to do what you want. You might have heard it said that you become most like the 5 people you spend the most time with. How do they show up in their lives? 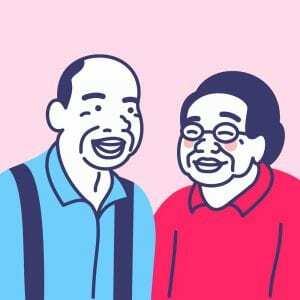 Are you emulating them? Being around people that produce positive results in their lives are the best kinds of friends you can have. This could not hit closer to home for the state our world is in right now. When we are in service to others we tap into compassion, kindness, and love. Self-serving ideals lead to separation between humans. 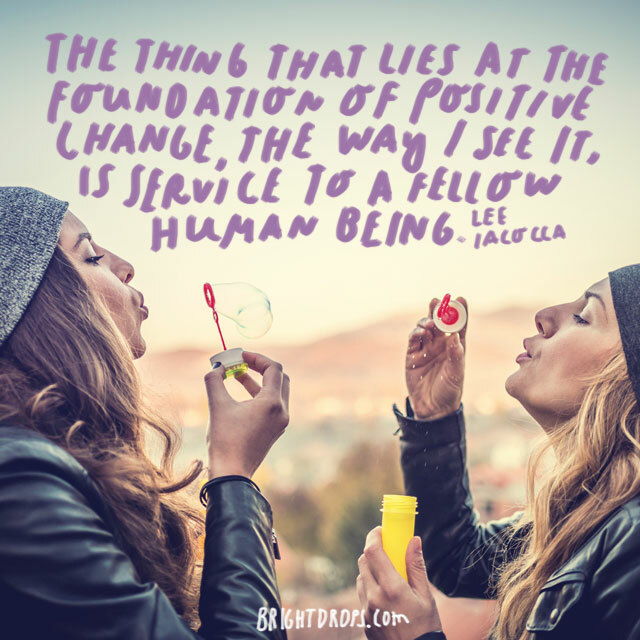 If you need positive change in your life, then do something for someone else or start volunteering. 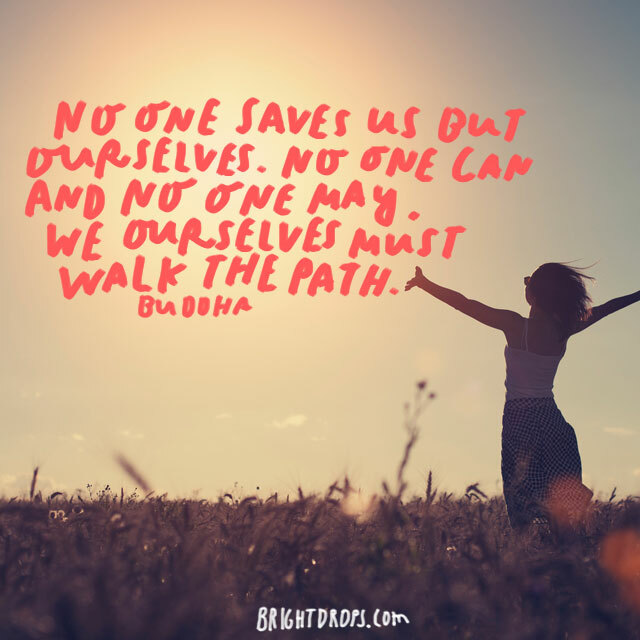 When you see behavior in others that you would like to adopt as your own, make sure you do not lose yourself in the process. You can exhibit attitudes and learn skills that will benefit your life, but doing so with your own authentic flair will keep you in alignment with who you really are inside.